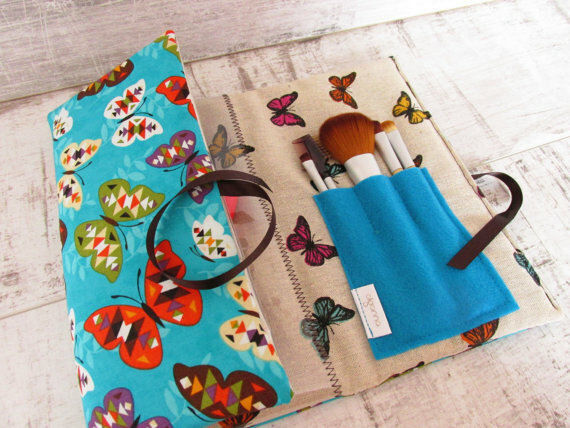 Cosmetics organizer with geometric butterfly print. 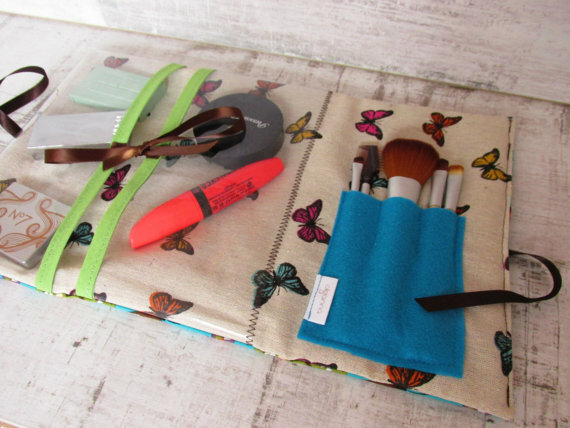 Make up organiser bag, makes a fab gift! 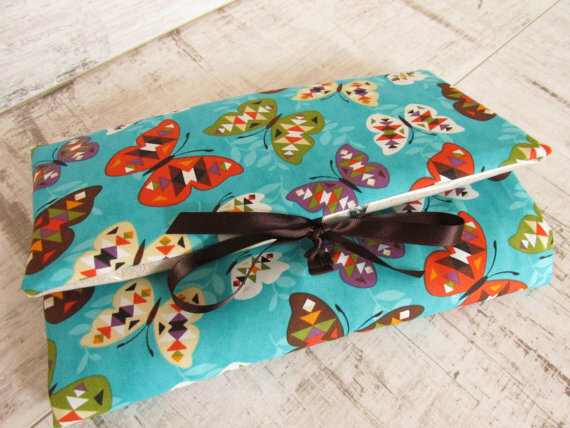 The fabric is a soft cotton and inside a printed canvas. Gorgeous, bright and totally useful! Stores cosmetics tidy and easy to find. You can add brushes to compliment them – just choose in options. 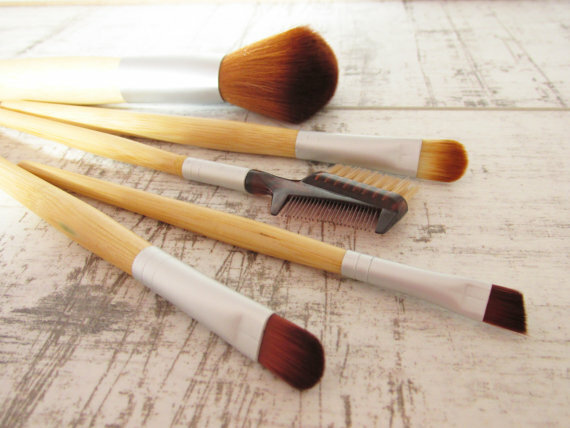 The brushes are wooden handled, with supersoft bristles and really great quality. 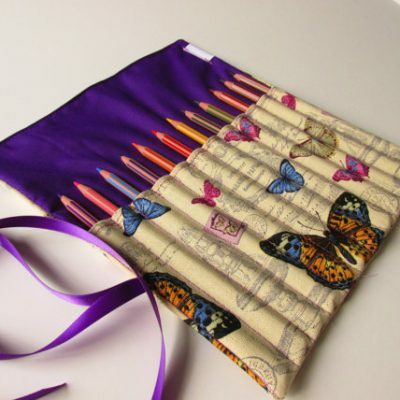 Makes a fabulous Birthday Present or Christmas gift, gorgeous fabric and really practical. 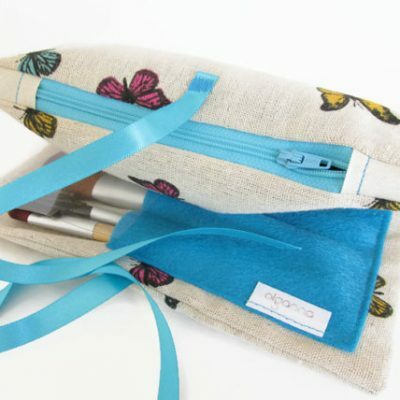 Make up bag opens to reveal see through pockets and a brush holder, keeping everything organised for you. An ideal original gift for any female, birthday, anniversary, or a treat for yourself – because you deserve it! Tie in a bow to secure the roll tight keeping your goodies secure. Inside are 2 see through pockets and a felt pocket for brushes storage. A bow ties the 2 pockets together to secure the contents. 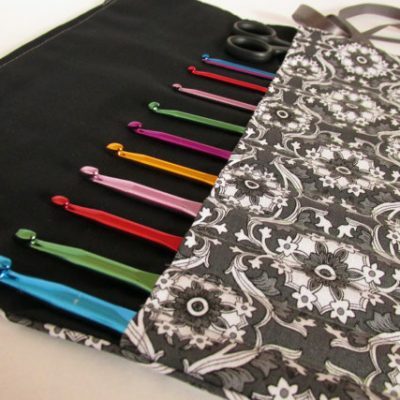 -Ribbon ends are sealed to prevent fraying. 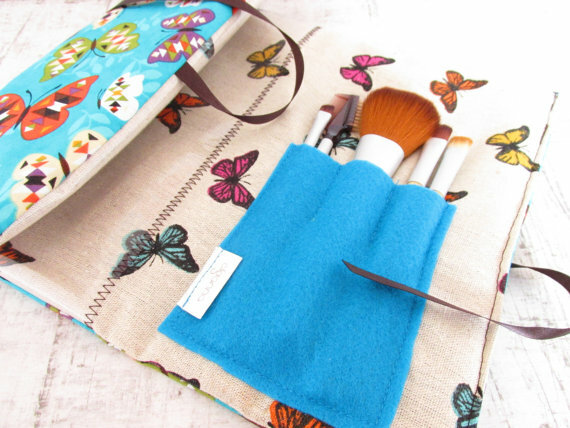 -Throughout is a fleece layer to give the bag a luxury spongy, substantial feel, just another added touch enhancing its tactile qualities, but also helps to protect the contents and keep the shape. 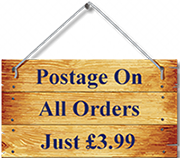 SIZE – Size when open is approx 41 cms x 22 cms (16 X 8.5 inches).